Live: Samsung Unpacked 2013 Episode 2! 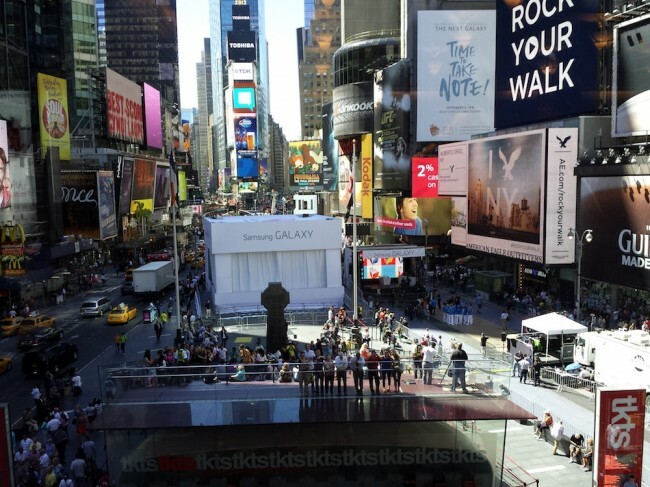 We are live in New York City for Samsung’s Unpacked 2013 Episode 2 event! Below you’ll find a live stream of the event, along with play-by-play coverage through our live blog for those who can’t stop what they are doing to watch the action unfold on video. As you can see the from the picture I snapped last night, Samsung is indeed preparing to take over Times Square once again, just like they did with the Galaxy S4 launch. This time though, it’s all about the Galaxy Note line, and the Galaxy Note 3. We’ll also more than likely be treated to Samsung’s first smartwatch, dubbed the Galaxy Gear, so join us below to take it all in. The live event kicks off at 10AM Pacific (1PM Eastern). Following the live event, we’ll have a chance to get our hands on all that is announced. Stick with us!